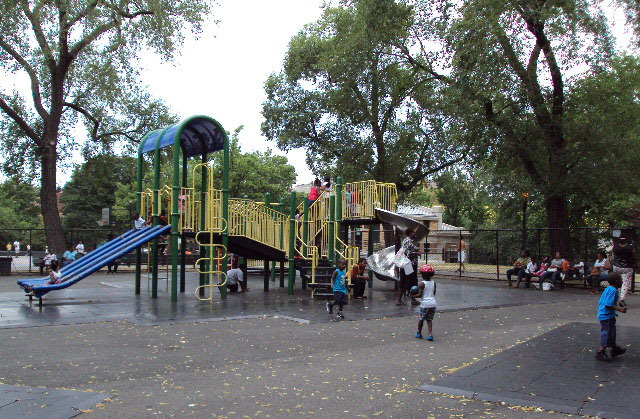 Located in the heart of Crown Heights, Brower Park has been an outstanding educational and recreational resource for children for over a century. 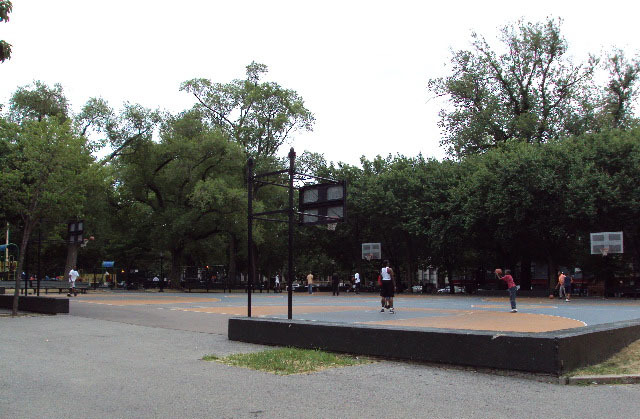 The City of Brooklyn purchased what is now the southern portion of the park in 1892 and improved the property within two years. 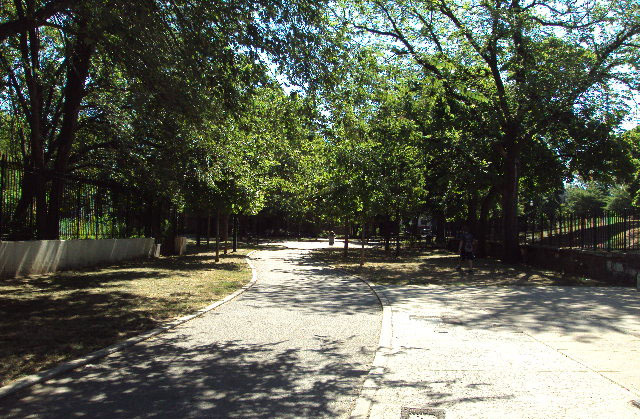 The 1894 Annual Report of the Brooklyn Department of Parks boasted that “Its [the site’s] natural advantages were many, and it is now one of the prettiest small parks in the City.” Rolling terrain, dense shrubs, robust native trees, curving walks, and an iron ornamental fence contributed to the beauty of what was then called Bedford Park. Brooklyn Children’s Museum opened in the William Newton Adams House in 1899. With hands-on exhibits, demonstrations, field trips, workshops, and school visits-all specifically arranged for children-this museum was the first of its kind in the world. A parcel to the north of the park was acquired in 1923, and the Brooklyn Children’s Museum expanded into the L.C. Smith House by the late 1920s. An elegant, classically-inspired comfort station was erected in 1905, and a World War I memorial was dedicated in Bedford Park in 1919. In 1923 the Board of Aldermen renamed the park for layer and Parks Commissioner George V. Brower (1839?-1921). Although he was born in Paterson, New Jersey, Brower was a member of an old Brooklyn family. He served as an apprentice to a Pennsylvania judge and moved to Brooklyn in 1867 to practice law. Brower was General Appraiser of the Port of New York from 1880 to 1884, and he was a Parks Commissioner from 1889 to 1894 fand from 1898 to 1901. He was instrumental in acquiring Red Hook, Fort Hamilton, and Sunset Parks in Brooklyn and “Brooklyn Forest,” now Forest Park in Queens. Brower died in his home, at 1084 Park Place directly south of the park, in 1921. Brower Park continued to evolve. Reconstruction activity in 1936 reconfigured the paths and added drinking fountains, benches, and a playground. Additional parkland was purchased in 1947, the George V. Brower School (P.S. 289) opened its doors in 1958, and the bed of Prospect Place was closed between Brooklyn and Kingston Avenues, uniting the north and south portions of the park. 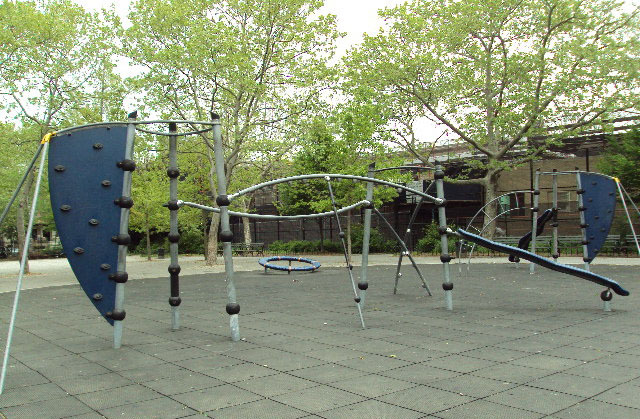 In the 1950s a new playground and handball courts were constructed. Meanwhile, plans were made to build a new facility for the Brooklyn Children’s Museum. From 1967 to 1977a temporary “neighborhood museum” (the MUSE) operated out of a former automobile showroom in nearby Bedford-Stuyvesant. The old museum buildings were torn down, and a remarkable to new museum sprang to life in the northwest corner of the park in 1977. Designed by the architectural firm of Hardy Holzman Pfeiffer, the playful building makes use of structures and signage from industry, agriculture, and transportation. Upon entering the museum through a c. 1909 trolley kiosk, visitors descend in a tubular ramp through four underground levels. The rooftop gardens and amphitheater integrate the museum’s architecture with the park’s landscape. The Brooklyn Children’s Museum, George V. Brower School, and surrounding homes and businesses make good neighbors for Brower Park.